Wankel Rotary Engines – Why should I choose a rotary engine for my application? AIE 225CS engine In straightforward terms, you should choose a Wankel rotary engine for your application if your primary drivers are for a solution that is compact, lightweight and high power. Rotary engines also have almost zero mechanical vibration and offer incredibly flexible packaging form factors, allowing you locate and attach them in spaces and … Continue reading Wankel Rotary Engines – Why should I choose a rotary engine for my application? Wankel Rotary Engines – Don’t Wankel rotary engines inherently cost more to manufacture than piston engines. Another Wankel rotary myth. 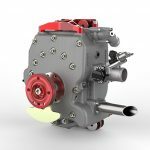 Just like any other engine, the cost of a unit is primarily driven by its raw material costs, its complexity and most importantly the manufacturing volume. Wankel rotary engines are less complicated and require less raw material to manufacture, and therefore, if the quantities were equal to those of piston engines, … Continue reading Wankel Rotary Engines – Don’t Wankel rotary engines inherently cost more to manufacture than piston engines. Wankel Rotary Engines – I believe there are different types of Wankel rotary engines around. What are the differences and which is the best? Yes. As is the case with piston reciprocating engines there are several “types” or variants of the Wankel rotary. Again as with piston engines, the core principle of the rotary engine remains the same in all cases, and it is just the configuration of the engine interfaces, cooling systems and port configuration that change. The … Continue reading Wankel Rotary Engines – I believe there are different types of Wankel rotary engines around. What are the differences and which is the best? 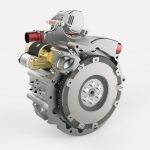 Wankel Rotary Engines – With the move to electric powered vehicles, aren’t rotary engines becoming irrelevant anyway? Actually, in many ways, the shift towards electric vehicles is making Wankel rotary engines even more relevant. 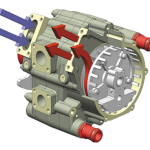 A compact, power dense Wankel rotary engine configured as part of a series hybrid solution has the potential to become an “enabler technology,” reducing range anxiety from a driver perspective and actively extending the usable range of the … Continue reading Wankel Rotary Engines – With the move to electric powered vehicles, aren’t rotary engines becoming irrelevant anyway? Wankel Rotary Engines – I understand rotary engines can only run on gasoline? False. Wankel rotary engines have been developed to run on pretty much every fuel you can imagine from alcohol to diesel through to gasoline, kerosene, natural gas and even hydrogen. 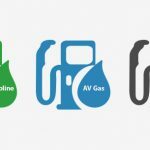 However, it is correct to say that the most common fuel used in Wankel rotary engines is gasoline and that running some fuels in rotaries … Continue reading Wankel Rotary Engines – I understand rotary engines can only run on gasoline? 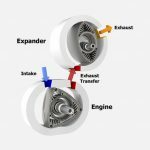 Wankel Rotary Engines – Aren’t rotary engines noisy and have poor emissions? AIE’s rotary exhaust expander unit CREEV (Compound Rotary Engine for Electric Vehicles) Concept Wankel rotary engines certainly have high energy exhaust (heat and sound) and due to the nature of the engine do have higher HC emissions than a piston reciprocating engine (but similar CO and lower NOx). 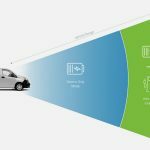 Emissions though are not a problem (at … Continue reading Wankel Rotary Engines – Aren’t rotary engines noisy and have poor emissions? 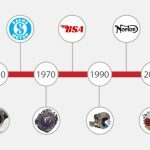 Wankel Rotary Engines – Isn’t Mazda the only company still developing rotary engines? No, Wankel rotary engines are currently in development all over the world with companies looking to access existing and emerging markets with engines specifically designed for some very demanding applications. 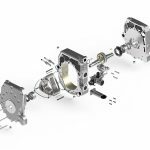 A case in point is the UK’s Wankel rotary engine ecosystem, over the last 30 to 40 years the UK has been a real world … Continue reading Wankel Rotary Engines – Isn’t Mazda the only company still developing rotary engines? Wankel Rotary Engines – So aren’t Piston engines better than rotary engines anyway? 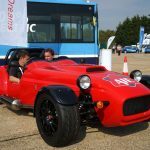 AIE 650S rotary engine powered Westfield Sports car There is no denying that piston engines are truly incredible. 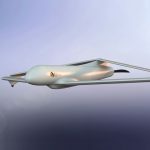 They have dominated the automotive and marine sectors for decades and have only really been displaced by turbines in aerospace due to the unique demands that aviation places on engines. So by this measure alone, you cannot … Continue reading Wankel Rotary Engines – So aren’t Piston engines better than rotary engines anyway? Wankel Rotary Engines – Aren’t they unreliable and use excessive oil? Since the introduction of the Wankel engine in the NSU in 1967, a level of concern around the engine’s reliability and oil consumption has been expressed, historically there have certainly been some issues with wear on some of the sliding seal components and in particular, the apex or “tip” seals on the engine’s rotors. Sparcs … Continue reading Wankel Rotary Engines – Aren’t they unreliable and use excessive oil?